Many questions in IT service management can only be answered if there is comprehensive information about the use of the IT systems. which organizational unit uses which processes on which system? which modules/application components of SAP are used on which system? Where there transactions executed (by whom) that do not conform to security policy? Which custom developments are used how often and which are not used at all? When was the last usage of a Transaction on a system by a user or an organisation unit? When was the last usage of a SAP role or a SUIM’s Access Manager business role? What RFC functions were executed remotely on a system using what RFC destination? The corresponding information is only available in SAP systems for a short period of time and must be stored in an appropriate format for permanent use. SUIM’s Application Tracer (AT) allows you to retrieve, to store these informations in order to evaluate them for diverse needs. What is AT used for? SUIM’s Application Tracer is used to determine the use of SAP systems in the system landscape and to save them centrally. 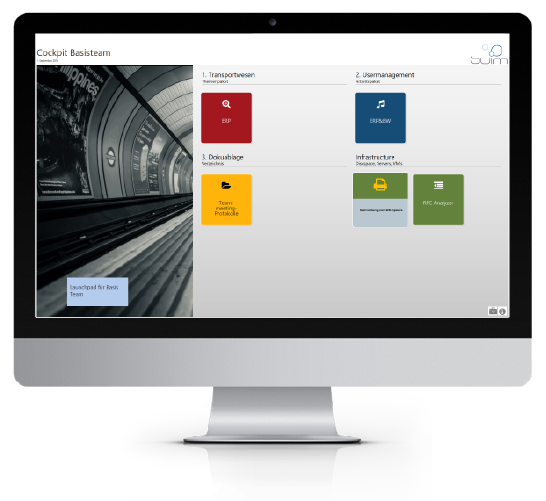 The SUIM’s Application Tracer is used to retrieve the system usage centrally and to split each usage per organisation units and applications. Your SAP Competence Centre is able to split the costs for your SAP systems, services and infrastructure per organisational units in function of heir effective usage. In the SUIM’s Service Analyzer (SA), a special connector for the Collections and an Extractions is delivered for retrieving the Application Tracer datas in the Service Analyzer’s inventories. During a change request (if for example they have to remove a transaction from a role), the authorisations team is able to see how much gravity the application of this request will affect the end-users in their daily business. Optimize storage space by reducing the amount of data to the necessary minimum by storing only the relevant attributes. A lot of reports and cockpits are delivered for transaction usage per user, organisation unit, system, ..
Statistics over Dialog, batch, http, and other type is delivered. The use of trusted RFC for communication between the central and client systems is recommended, but is not a requirement. It is also possible to use a technical user. However, it is strongly advised not to use a dialog user as a technical user. The use of trusted RFC ensures that the user who performs AT remote functions on a source system is also logged on to the remote system with his or her user. SUIM’s Application Tracer consists of a central Package to be imported on your Central System, and of a small client package to be imported on each satelite system. In order for Application Tracer to be fully utilized, the release of the central system on which at is operated should be in the minimum NetWeaver 7.0. It is also possible to use at already from a release starting from SAP 6.40. The release level of the client systems does not affect the functionality of AT, but should still be in the minimum SAP 7.0. 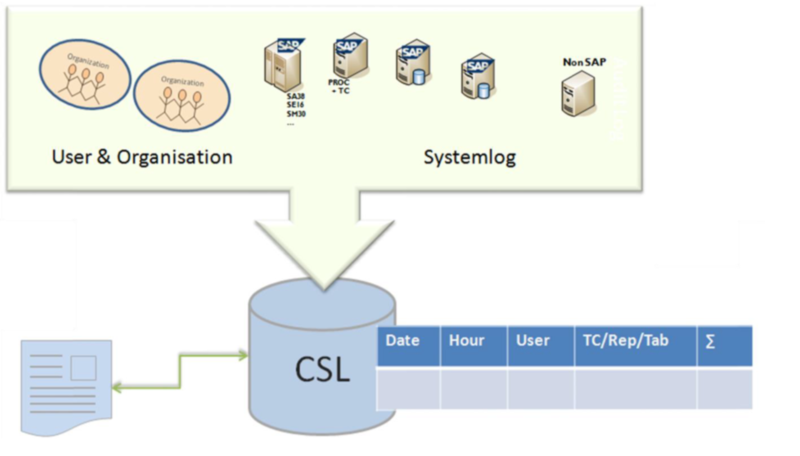 Non-SAP systems could be integrated using the delivered interface for retrieving the data. These custom developments are not part of the delivered product.